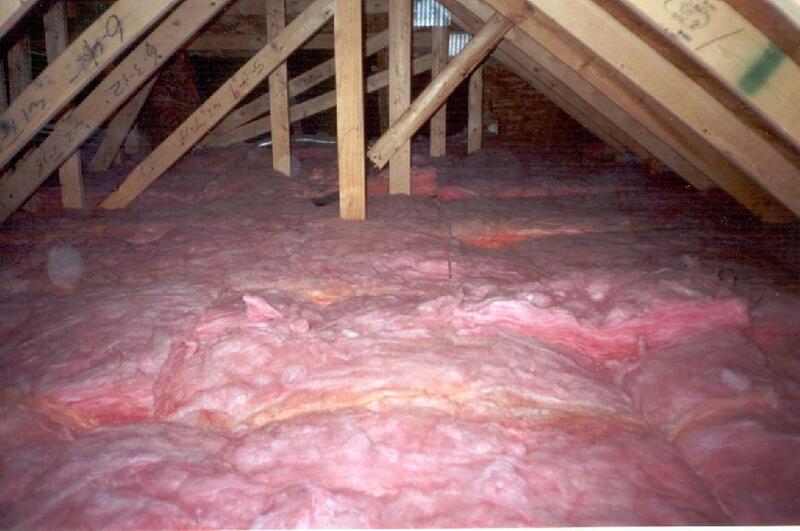 Most everyone knows about the fiberglass insulation that has been used for many decades in attics all over America. It comes in two forms: blown in wads and rolled in mats. In both cases these two forms of insulation have proven to create a ubiquitous health disaster throughout many a residential subdivision. 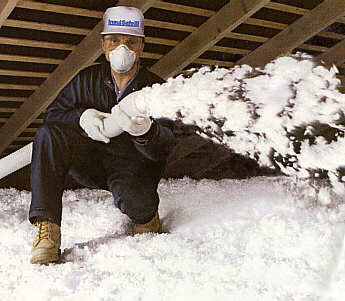 Do you know what happens to this fiberglass that sits in the attic through alternating periods of heat and cold, humidity and dryness? It breaks down and dusts. It is then carried by the air movement all over the attic, as well as into the wall spaces. This is where the problem really begins. You see, when the air conditioning turns on in the southern regions, a negative pressure phenomenon occurs which pushes attic air into the ambient air of the home through various points of entry. Likewise, when the heat pump turns on in the colder regions the same negative pressure is induced. This negative pressure throughout the home pulls air from the attic and wall spaces into the ambient air. More specifically, the following excerpt from hvac-talk.com describes what really happens here. The translation of this highly consequential dynamic of outdoor to indoor air flow is that air is being pulled into the home from the attic, wall spaces, and/or any other point of entry from the outside as indicated above. The serious health repercussion is that fiberglass-laden air from the attic can be continuously drawn into the home living space via the turning on and off of the HVAC system through both the hot and cold seasons. The very fine fiberglass dust from the attic and wall spaces is simply drawn through every small crack or crevice, opening or wire conduit which leads directly into the home living space. Go to your many electrical sockets, lighting fixtures, air vents, ceiling fans, etc. and see how many opportunities there are for airborne fiberglass to pass through these openings. The number of these cracks and openings in the aggregate provides a conducive environment for much fiberglass-laden air to flow into every room of a home or office space. How can we determine if our home has fiberglass contamination? There are a few telltale signs of fiberglass finding its way into the home on a regular basis. The Fiberglass Information Network has provided the follow list, which can also be found at their excellent website. • Glass-like dust which glitters when struck by light. 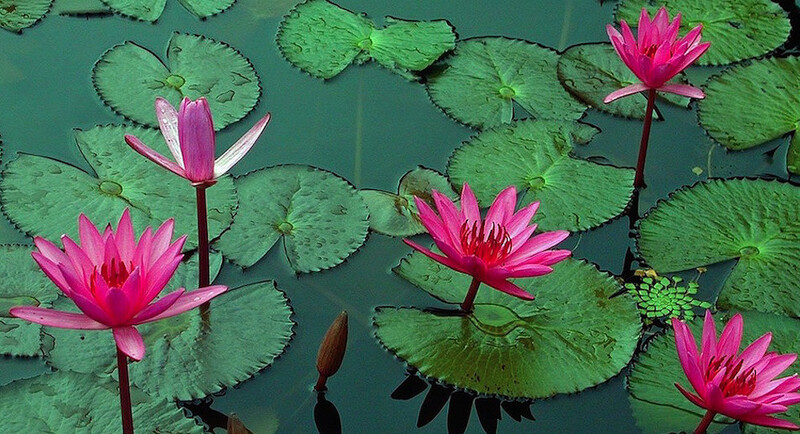 • Ill individuals feel better when out of the house for extended periods of time. • Individuals feel worse when the heating or air conditioning is on. We highly recommend that you bookmark the preceding website as it may very well be the one that helps you reclaim your health, and in some instances, save your life. Why do we want to avoid this situation as much as possible? Perhaps we should ask how you feel your lungs would feel if they are constantly being bombarded with tiny cylindrical fibers of glass or glass wool (minute shards of cut glass is how they might appear under a microscope)?! Not a pretty picture, especially when it occurs over the course of a lifetime. And, especially when living or working in the same space where the conditioned air is super-saturated with fiberglass particles. If you want to see what kind of volume we’re talking about, go up to your attic on a windy day and bring a flashlight to shine through the thick airborne fiberglass dust. Your observations will likely compel you to always wear a mask whenever you enter the attic henceforth — it’s that convincing! The Health Coach has witnessed an exponential increase in lung ailments over the years. All upper and lower respiratory illness and chronic disease has seen a major increase in incidence per capita. Asthma, Chronic Bronchitis, Bronchiolitis, Emphysema, Lung Cancer, Sarcoidosis, Systemic Scleroderma (aka CREST Syndrome or lcSSc), and COPD (Chronic Obstructive Pulmonary Disease) are all examples of serious lung conditions which have experienced a dramatic uptick. The point is that, regardless of how efficient the body may be at sloughing off the offending particulates of fibeerglass, it adds an unnecessary burden to the lungs. With ambient air quality where it is in our industrialized society, this additional contribution to the indoor environmental pollutant profile is taking us in the wrong direction. Enough of the downside of this predicament: What can we do if we suffer from fiberglass poisoning? Simple-Remedies.com has offered some good tips which are practical and easy. This is a very superficial treatment of the situation, but should be followed by anyone living in an obviously contaminated space. • Preventing inhalation of dust in the lungs with wearing proper mask around the nose and mouth is the best remedy to keep away from fiberglass dust exposure during its sawing, cutting process. • Dust your body with talcum powder before you start work with fiberglass. It blocks the pores and prevents the entry of tiny duct particles into the skin. • The home remedy for fiber glass dust exposure on the skin is to rinse the skin with cold water to get rid of fiberglass dust embedded on the skin surface. • After that take a warm shower so that the pores will open up and the rest of fiberglass dust gets expelled from the skin. • You can apply gentle baby oil on the skin so that the remaining last particles of duct get loosened from the skin. • You can apply moisturizers to get relief from itching and inflammation caused due to fiberglass dust. We are not happy about being the bearer of this bad news. It represents a very unfortunate health predicament for both people and home. Truly, there are many sick buildings around the world and many a sick home as well. In the vast majority of these, the residents have no choice about where they live. In fact, the home is where a LOT of disease actually starts. However, it is often completely overlooked by the medical practitioners. Only a very few really have a clue. Therefore, become a house sleuth and look closely at this relatively unknown yet serious indoor environmental problem. There are many other home environment challenges which we will point out in future sessions such as HVAC Systems: Is Yours Contaminating Your Entire Home? In the meantime, you may want to install those light switch and outlet sealers, seal up every air vent with aluminum tape, patch up all crack and crevices, and remediate all the fixtures which provide air flow into the home from the attic or wall spacees. Then, have a home air eval and thorough house audit performed by a knowledgeable and reputable HVAC company. It is advisable to call them first in order to pose certain questions the answers to which will determine if they really know their stuff. This entry was posted in Uncategorized on May 17, 2012 by The Health Coach.